Welcome to the free online game that will definitely put your steady nerves into the test. 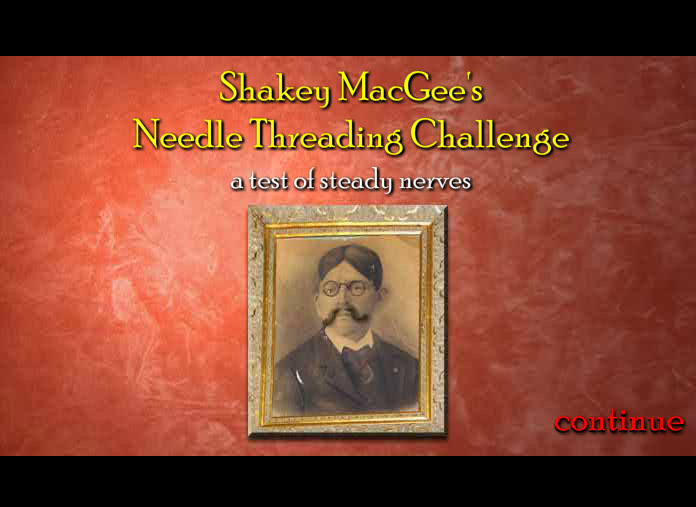 This is called the Shakey MacGee’s Needle Threading Challenge. On the first screen where a photo frame will show as well as the name of the challenge, just click on “continue” to get started. It will then direct you to a screen that welcomes you to Shakey’s sewing room. The instruction is just simple but very challenging, why? Because you need to guide Shakey’s hand that is terrible shaking than usual. Once you are ready to go on with the challenge, click on “continue”. You will then be asked to select a needle size (small or large) and a thread size (thin or thick). Right after choosing the thread size you will automatically be directed to game proper. Stage 1 is still somewhat manageable as you just have to guide Shakey’s shaking hands directly into his trembling needle hands. After successfully doing so, you just have to click on “continue” to get into the next level. Stage 2 is where the challenge begins. 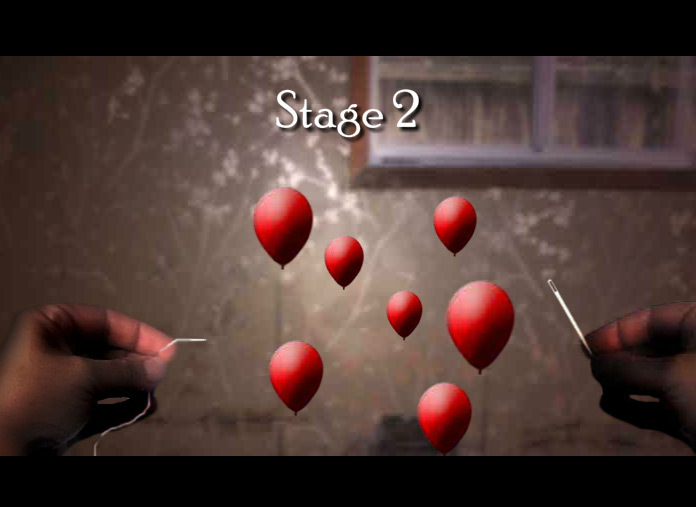 With your steady control over the mouse, guide the hand that holds the thread to reach the shaking needle hand, but this time you have to be very careful in popping the balloons that are blocking your way. You will see it like an obstacle course, still with you controlling the mouse, avoid having the tip of the thread touch or reach any of the balloons; otherwise, you may have to start the game again. Once you’re done, click on “continue”. Patience and focus are required. Stage 3 is also similar to stage two that has distractions on the way. Here you will encounter bubble-like objects that will pop instantly once touched by the edge of the thread. So use your strategy well. Just be relaxed in controlling the mouse to make sure that you will reach the needle hands without popping any of the bubbles or else you will start that stage again. Your focus is deeply needed in the level. Like any other online games, you are always looking forward into the next level of every game, especially if you already get the hang of how to play it and its techniques. But after stage 3, thinking what the next stage would be like, a creepy image will suddenly pop up along with some spooky sound in the background. Scary Maze Games aim to test your every skill in every game that they offer, but likewise never fail to surprise you with scary pictures or some other prank that will for sure catch you off guard. It is also loaded with tons of mind boggling games that are extremely fun to play with not just individually but along with the rest of your family and friends. Perfect to share with anyone you like, making them feel the excitement you and the rest of online scary maze game players experienced which is really priceless.